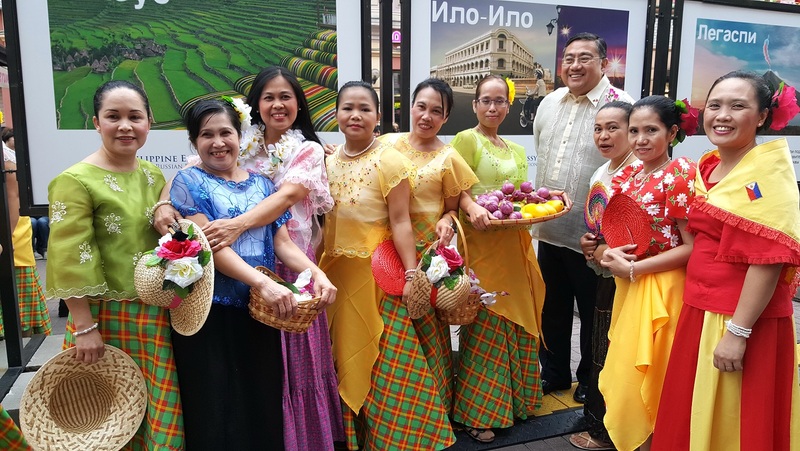 The Philippine Street Festival 2016 at the Old Arbat. After the commemorative Russia-ASEAN summit in Sochi in May, Southeast Asian countries launched a wave of festival activities in Moscow to promote tourism and culture. Diplomats and businesspeople say these events are relatively inexpensive and could help build immense goodwill. Muscovites are increasingly enjoying the sights, sounds and flavors of Southeast Asia even before taking a flight to Bangkok or Yogyakarta. Looking to build on the general goodwill for ASEAN countries in Russia, members of the grouping have started organizing cultural festivals in Moscow. This trend started as early as in 2014, when Thailand and the Moscow City Department for External Economic and International Relations chose a spot near the Bolshoi Theatre and the TsUM department store, to test the waters. Since Thailand is already the number one destination in ASEAN for Russians, the Thai embassy in Moscow isn’t only focusing on tourism. The festival aims to “remind Russians about Thailand and remind them that Thais pay attention to Russia,” Thai Ambassador to Russia Kriangsak Kittichaisaree told RBTH.“Russia is very important for us… Russian tourists spend about 3 times more than average. It's quality, not quantity, that counts,” Kittichaisaree said. This August, Indonesia and Philippines followed Thailand’s example. Indonesia hosted its first ever festival in the Hermitage Garden, a comfortable and popular recreational spot that is close to Tverskaya Street and within walking distance from the Kremlin. The Philippines chose the Old Arbat pedestrian street, which is one of the main tourist attractions in the Russian capital. Ambassadors of both countries told RBTH that they would like to hold future festivals in the same venues. “These festivals are a very good opportunity for countries to create a positive image of themselves and Southeast Asia in general,” Viktor Sumsky, head of the ASEAN Center at the Moscow State Institute of International Relations (MGIMO), told RBTH. When it comes to soft marketing tools such as culture festivals, it’s not always easy to define what success is, but diplomats seem to be happy with the experience. “For the first effort of organizing a festival, it could be said that the Indonesian festival was a success, which was proven by the number of visitors - more than 60,000 - and their enthusiasm,” Indonesia Ambassador Wahid Supriyadi told RBTH. Michael Kuritsyn, Chief Executive of the Russia-Indonesia Trade Council, one of the main organizers of the Indonesian festival, told RBTH, that events of such a scale are welcomed by businesses as an effective tool for brand promotion, increasing client base and building reputations. If this event becomes annual,“businesses will put it on their calendar, which will make it easier to attract even more participants in future,” he said. “Next year we are thinking of expanding the scope of activities and maybe include Bangkok Days part of the Thai festival and bring more provinces,” Thai Ambassador Kittichaisaree said, “We are also thinking of a festival in Vladivostok, Russia's gateway to Asia or any other cities." Manuylov added that the Moscow government supports the diplomatic missions in their bid to build soft power in the Russian capital.